Blog by Martin Kompf about Software and DIY projects. Bluetooth Low Energy Beacons are able to transmit web addresses wirelessly to smartphones. The URLs have to be in Eddystone format. The Eddystone URL Generator helps to convert the URLs into a format that is suitable for programming BLE hardware, like the RFduino. Part of Eddystone specification for BLE is also sending telemetry data such as temperature and operating voltage of the Beacons. The page introduces the Eddystone TLM frames and shows a complete programming example for the RFduino. The air pressure is measured with a barometer based on the I²C air pressure sensor BMP085. 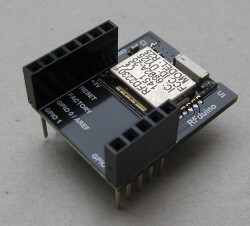 The article 1-wire temperature sensor DS1820 on Raspberry Pi (GPIO directly) describes how to connect a temperature sensor to the GPIO port. A solution to use the USB Weather Data Receiver USB WDE1 of ELV and the use of RRDTool for long-term data recording shows Weather data acquisition with the USB WDE1. 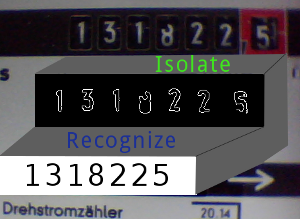 The article Distance calculation shows how to compute the exact straight line distance between two points from the geographic coordinates provided by the GPS. In addition, there is now a tool for displaying how the crow flies. After selecting two points on a map, the tool displays the distance in kilometers, miles and nautical miles. On the map you can see also the shortest path between points - the great circle distance. GeoPosition computes, shows, and converts geographic (GPS) coordinates using formats degree, minute, seconds, decimal degree, and UTM (WGS-84). 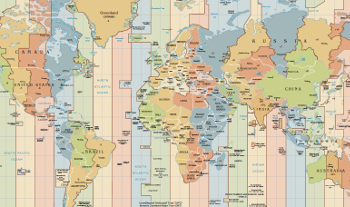 It determines the time zone from coordinates and displays the times of sunrise and sunset for every place on earth. Elevation data are also available for the whole earth. It is also possible to display the course of day and night across the earth for the current time.